Subsidiaries of Singapore Telecommunications (Singtel) have signed credit facilities worth S$4.1bn (US$2.94bn) with large international banking syndicates. 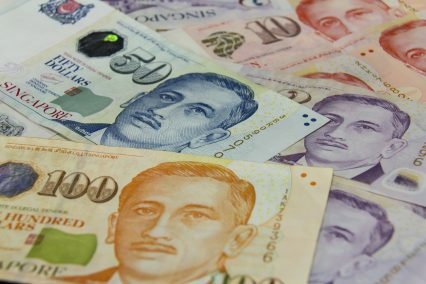 Singtel Group Treasury, a provider of financial and treasury services based in Singtel’s home market of Singapore, has agreed a S$2.5bn revolving credit facility with 12 banks, on a three-year term. The finance is guaranteed by the parent company. The banks involved are ANZ, Bank of America Merrill Lynch, BNP Paribas, BTMU, HSBC, Mizuho, OCBC, Standard Chartered, SMBC and UOB. In the second facility, Australia’s Optus Finance – a New South Wales-based mobile network operator owned by Singtel – signed a three-year A$1.5bn (US$1.13bn) RCF with 15 banks, also guaranteed by Singel. On this revolver, the banks involved were ANZ, Bank of America Merrill Lynch, Bank of China, BNP Paribas, BTMU, Citi, Commonwealth Bank of Australia, DBS, HSBC, Standard Chartered, SMBC, Société Générale and Westpac. In both cases, the funds will be used to refinance existing debt, and for general corporate purposes. The deals represent a jump in the original amounts in both countries. In April 2014, Singtel Group Treasury signed an RCF worth S$2.1bn, again with 12 banks. This was a further refinancing on 2011’s RCF, which was worth S$2.16bn. A Singtel spokesperson tells GTR that “we are pleased to be able to increase the size of facilities at both Singapore and Australia”. The Singtel Treasury facility is one of the largest originated in Singapore this year. It comes at a time when the lending picture in the city state looks healthier than it has for a number of years. Last year, the banking sector was struggling to deal with its exposure to industries connected to the slumping oil and gas sector. After the collapse of Swiber Holdings, an offshore oil and gas service provider, in late-July, it was revealed that all of Singapore’s local banks (DBS, OCBC and UOB) were heavily exposed to the sector. In the case of Swiber alone, DBS lost US$700mn. A contemporaneous note from Japanese bank Nomura showed that DBS had US$23bn exposure to the oil and gas sector, 8% of its total lending book; for OCBC it was US$14.3bn, or 7%, while UOB was exposed to the tune of US$14bn, or 6.6%. An uptick in the energy price, plus the intervention of the Singaporean government, however, led to a slight recovery in the sector. Some of the defaults expected in the early months of 2017 have not come to pass, and the banks’ figures are starting to look better. DBS reported a record first-quarter profit of US$1.21bn, with transaction services up 11% due in part to higher trade finance income.